One of the reasons that people are mediating rather than using HMCTS court and tribunal services is the increasing fees charged. Much cheaper to go to mediation rather than pay £10,000 to start a claim. 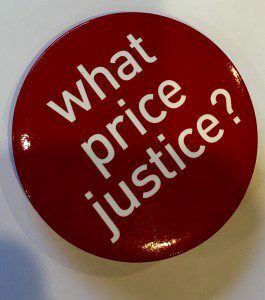 Maybe the MOJ is having second thoughts following a recent admission that the fee increases have resulted in a drop off in claims and the judiciary expressing concerns over this trend. The Ministry of Justice has reversed plans for six-fold increases in some fees for asylum and immigration cases, it told parliament. In a written ministerial statement, justice minister Sir Oliver Heald said the department had listened to the representations it received on the current fee levels and has ‘decided to take stock and review the immigration and asylum fees’. The ministry’s consultation response document stated that only five respondents out of 147 agreed with the fee increases. Nonetheless in September the ministry announced that it was proceeding with increases and began charging up to £800 for an oral hearing in the first-tier tribunal. This followed similar rises in the Employment Tribunals and Civil Courts. However applicants will now be charged fees at previous levels, Heald said. In cases where the new fees have been paid, the ministry will reimburse the difference between the new and previous fee. Fees were introduced in the first-tier tribunal in 2011. These are £80 for an application on paper and £140 for an oral hearing – ‘well below’ full-cost recovery levels, Heald said. Earlier this year the ministry consulted on raising the fees to a level to recover the full cost of proceedings. It also consulted on introducing fees for appeals in the immigration and asylum chamber of the upper tribunal, and for permission to appeal applications in the first-tier and upper tribunals. Heald stressed that the government still believes that those who use courts and tribunals should pay more, where they can realistically afford to do so, to ensure the justice system is properly funded to protect access to justice, and relieve the burden on the taxpayer. In 2015/16, the net cost of the courts and tribunals service to taxpayers was £1.2bn, which Heald said was ‘unsustainably high’. The role of upper tribunal fees will form part of the ministry’s review of tribunal fees. A consultation on new plans for tribunal fees, including in the immigration and asylum chambers of the first-tier and upper tribunals, will be published ‘in due course’. It remains to be seen whether this signifies a change in policy or whether fees will increasingly become a disincentive to litigate and make mediation and ADR a more attractive option.